This is another picture of an inhabitant of Florida and North Carolina. 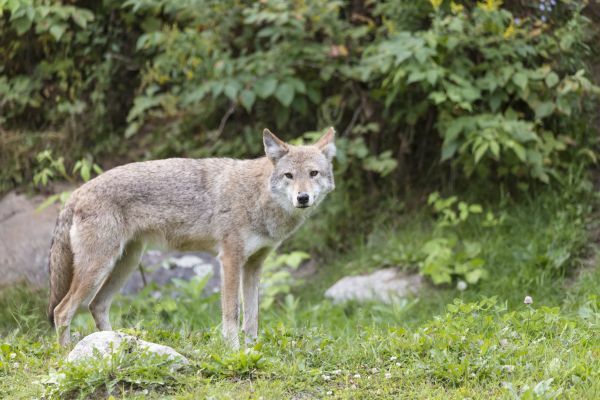 Actually coyotes are all over the United States. They are one of the wild dogs of our world. I have a neighbor who raises birds. He often has to chase coyotes from the property because they kill his birds. You can’t blame them tho can you? They’re just hungry too. My hubby has been ill all weak. So, I have been otherwise involved. I haven’t blogged all week. Hopefully it’ll be back to normal here soon. The only thing I managed to get done this week was to read. I got 7 books read. You can imagine I didn’t get a lot of sleep. But I did enjoy the reading time. Have a good one and keep an eye out for coyotes!